Today’s guest post is brought to you by Rebecca Makas from Restitcherator! 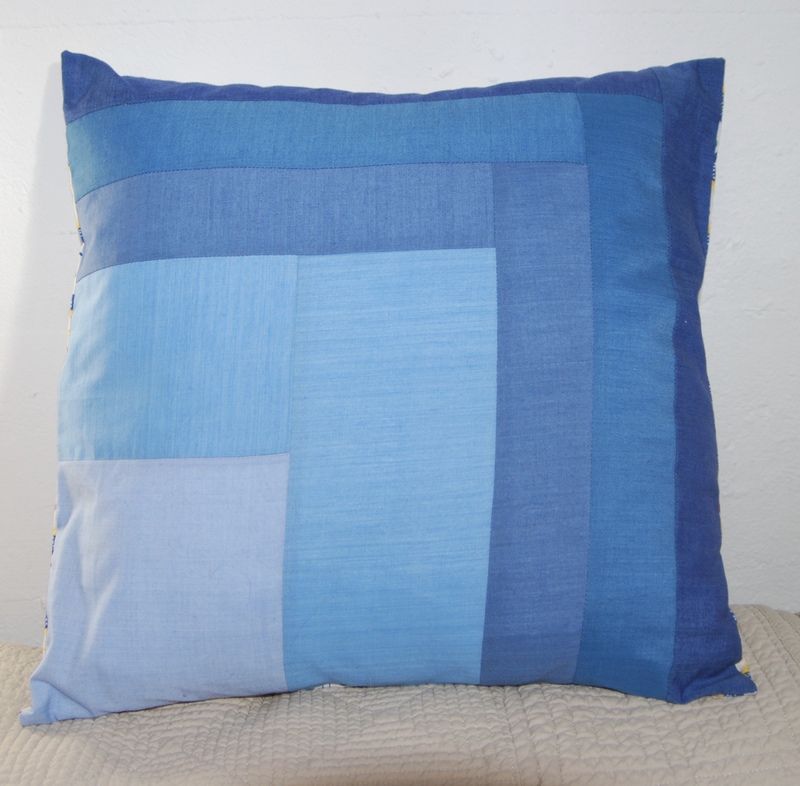 She’ll be showing us how to make this adorable throw pillow in two different colorways. 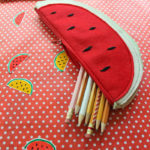 For more sewing tutorials, be sure to check out her blog! 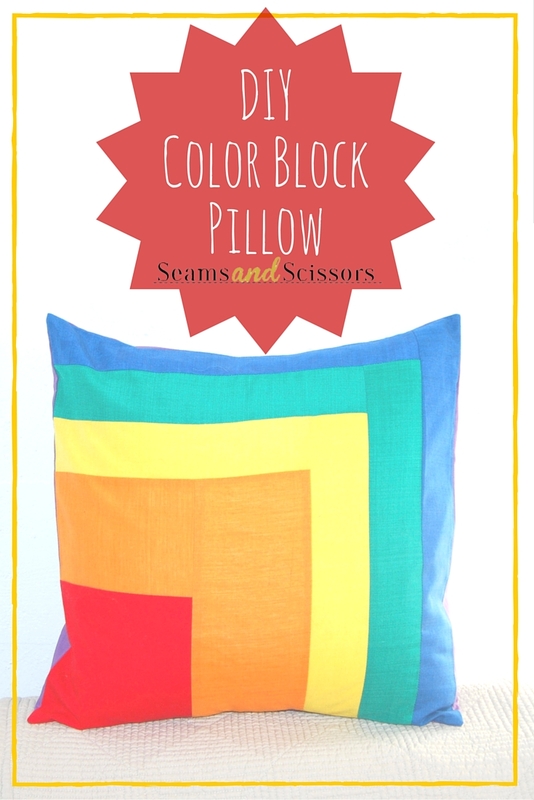 This is a really easy pillow cover that you can make to match any color decor. I made the original rainbow version for my daughter who loves everything rainbow! I’ve also made it up in tonal colors that match my son’s room. 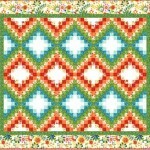 For each of the front colors, you’ll need large scraps, or a fat eighth of fabric. For the back pieces you’ll need a fat quarter. You’ll also need coordinating thread, a rotary cutter, and an iron. 1. 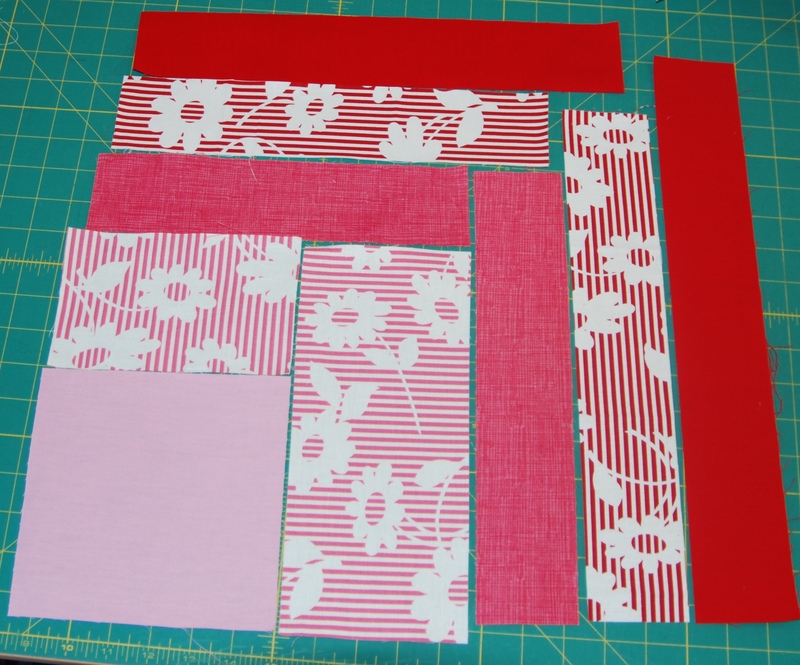 Cut all pieces from desired colors of fabric. 2. 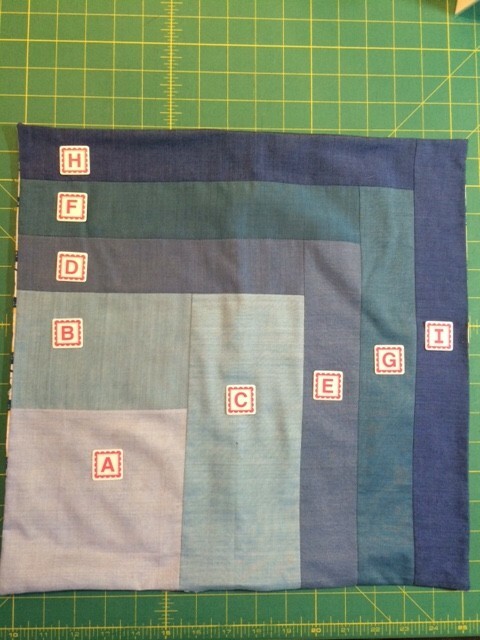 Sew pieces together, using a 1/4” seam in the order shown in the graphic, following alphabetical order. Sew A to B, then add C, then add D and so on. 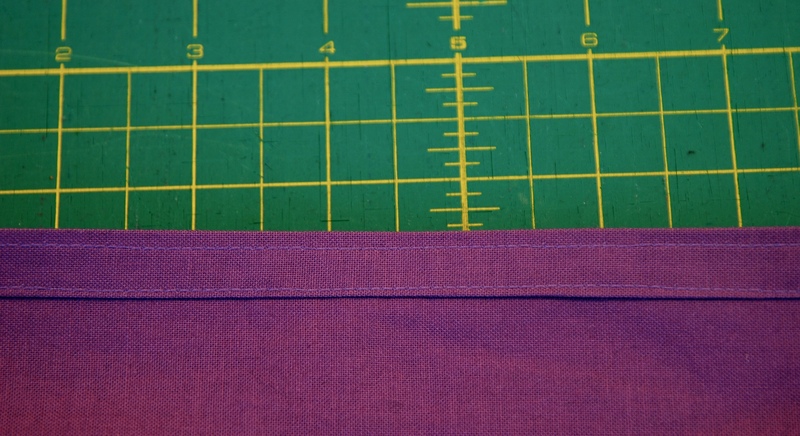 As you add each piece, be sure to press the seam away from the center block (Block A). 3. To assemble the back, take each of the large pieces, fold along one of the longest sides by a scant 1/8” and press. 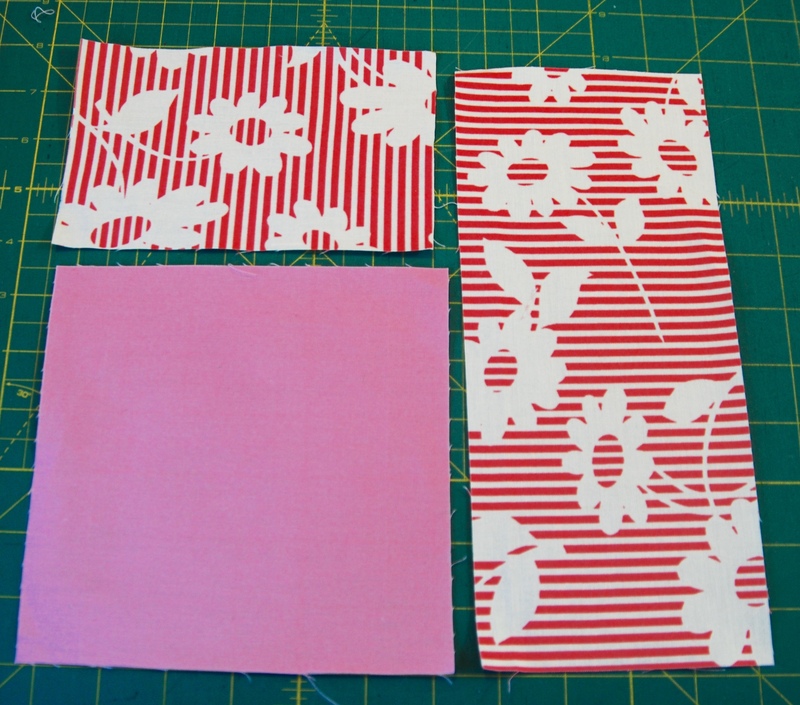 Then fold over again 1/2” and press again. Sew along the folded edge, about 1/8” from each side of the folded section. This is shown in the photo below. 4. Lay your top, right side facing up. Then lay the back pieces, right sides facing down (right sides together with the top) aligning the back pieces so that one side of each matches up with the edge of the front. The two sewn edges that you’ve made will overlap. This will create the “envelope” for the pillow form to go through. 5. Sew the pieces together, around the outside of the entire square. Trim off the corners so they will make sharp corners. 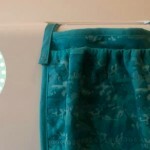 Press your seams to set the stitches. 6. 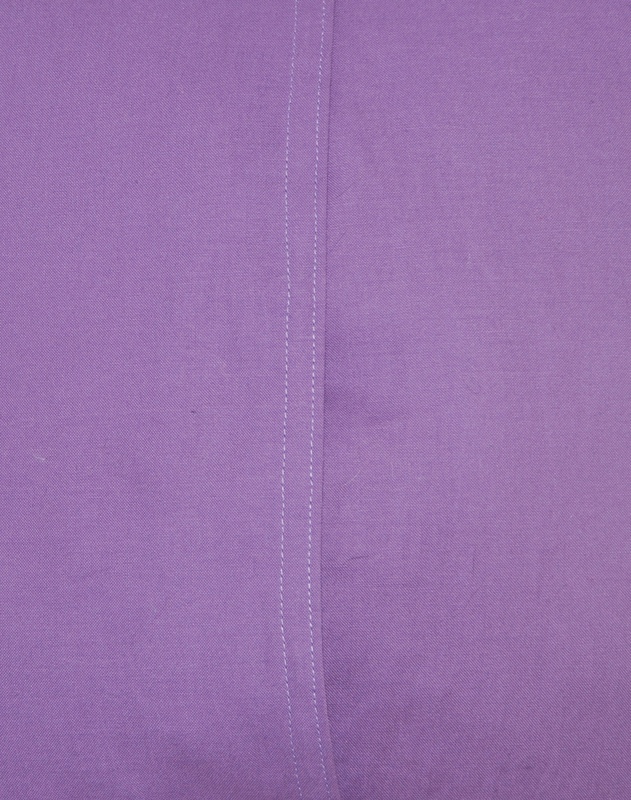 Turn your pillow cover right side out, taking care to push out the corners completely. Press again. Then stuff the pillow cover with a pillow form and you’re done! For more great tutorials, check out restitcherator.blogspot.com, and Restitcherator on Twitter and Instagram! 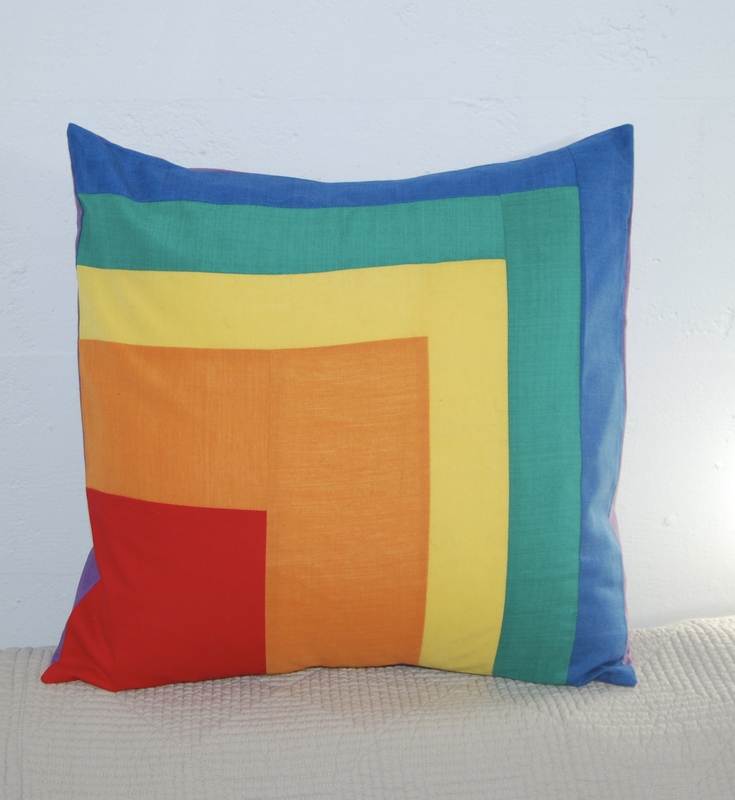 What colors would you use for this pillow?